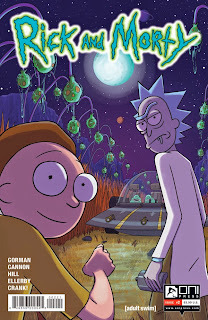 The Newest Rant: Reviews of Two Humorous Oni Press Titles Out Today AKA "Rick and Morty" and "The Auteur" are Fun! Reviews of Two Humorous Oni Press Titles Out Today AKA "Rick and Morty" and "The Auteur" are Fun! Comics are not necessarily comical in the sense of having humor. While the comic-strips in your newspaper (should your paper still have them) can be thought of as telling jokes, comic-books are not "funny". I mean, yes the Archie digests can muster a chuckle or two, but a DC or Marvel titles are more likely to be violently murdering fan-favorite heroes or vaporizing children these days--which is perfectly fine if that is the kind of story you want ,but sometimes a reader might just want to laugh. The grim and dreary nature of many comics presently makes it all the more interesting and exciting when something that makes you guffaw out loud is released. Therefore, the fact that Oni Press has two humor-focused titles coming out this week--and that both books are pretty enjoyable--is something worth writing about. 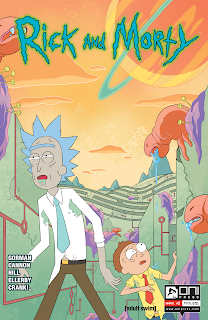 I've talked about my immense fondness for the "'Rick and Morty" television show before, and keeping in mind how much I love watching that program it is understandable I had some concerns about the comic. I mean, even the way the characters' talk is unique, with the stops, stutters, and random burps. Thankfully, the comic nails all the details down from writing the dialogue the way it would be said to the weird asterisk-eyes everyone has. The fact this isn't some slap-dash project but something clearly done with care just like the show gives the proceedings a sensation of a lot like watching Rick and Morty have adventures on T.V. 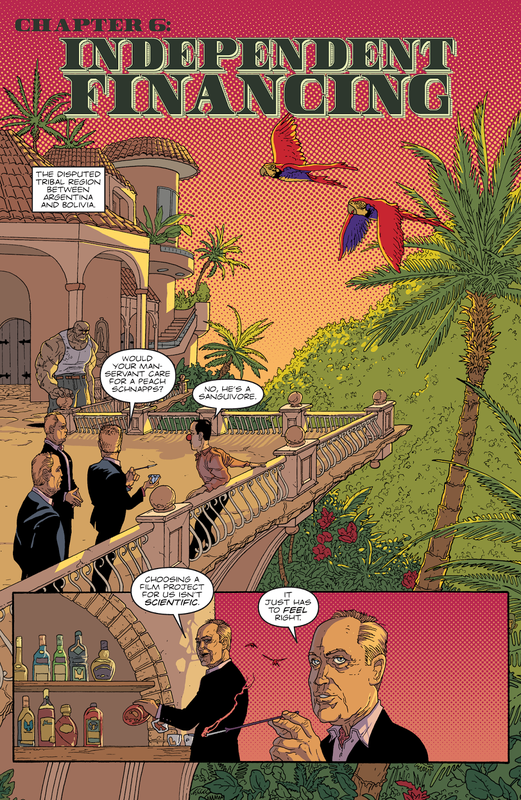 The problem is, while the show can follow its own pacing, going slow at some points and fast at others within each episode, an individual comic issue can suffer from uneven pacing, with this 2nd issue being proof of that. 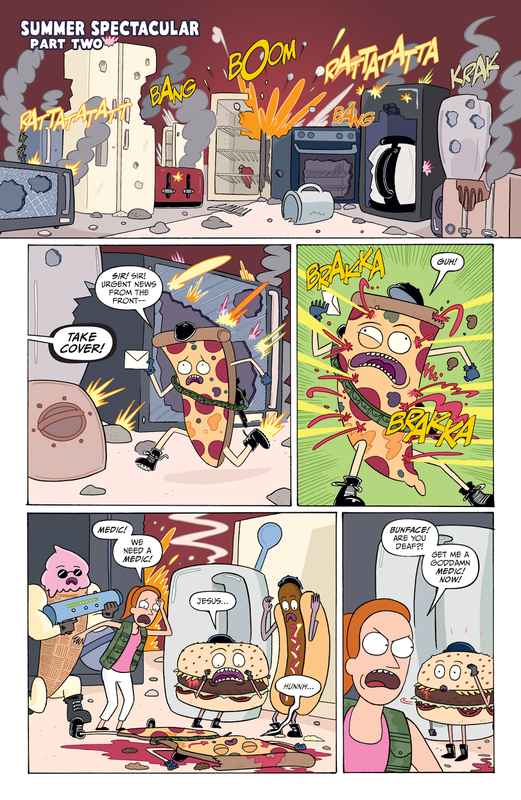 So much happened in the 1st issue of the "Rick and Morty" comic, but then in this 2nd things seem to just slow quite a bit, with some setup of Jerry potentially facing a scary monster soon, and Rick and Morty being stuck in prison, but little else (besides a fun side-story starring Summer). However, the biggest and most important question could arguably be if this comic is in fact funny. Happily, it is. Rick and Morty is a outlandish T.V. show an full of great gags. 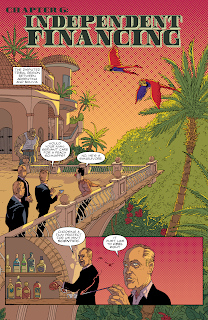 I'm happy to report that the comic continues that trend, with plenty of fast one-off jokes, running gags, and the occasional joke that you really have to think about for a second before laughing when you realize the punch-line. 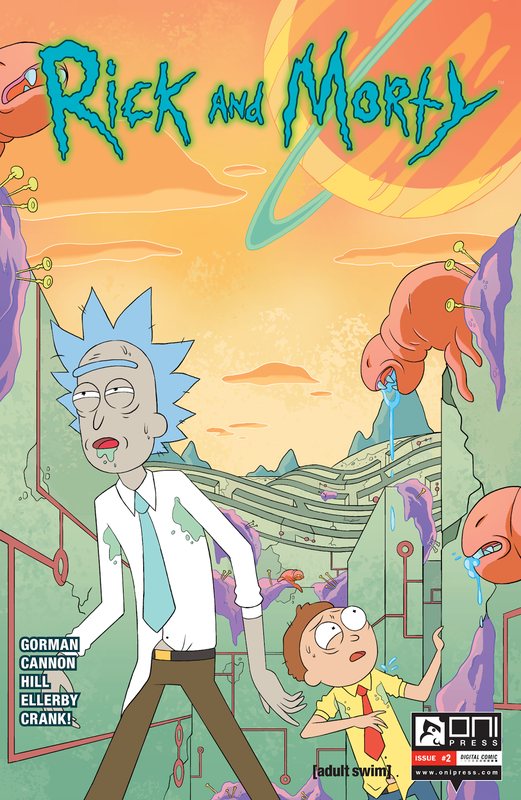 Anyone who has seen the show knows half the fun is in watching Rick and Morty play-off one another's personality in hilarious ways, and it is great to see that translate to print just as well as on-screen. Really, it all works, whether it's Jerry being his usual whiny self, or Beth being annoyed. 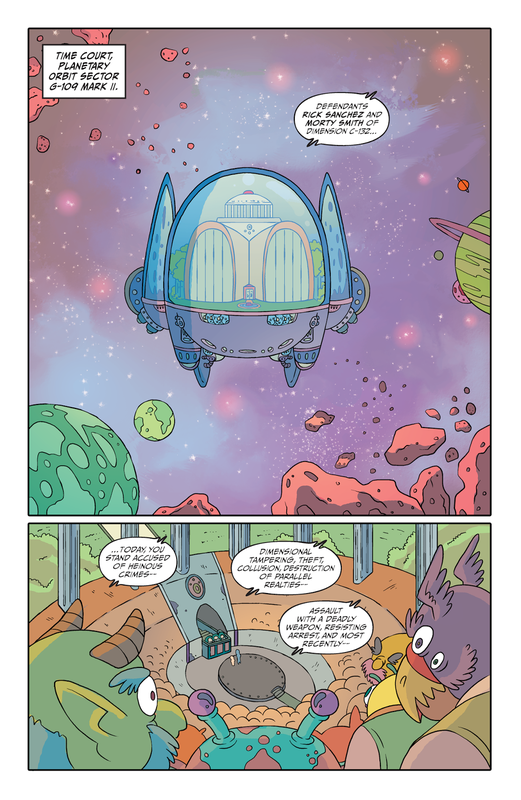 The humor being present in the comic is key, and helps to make-up for the sometimes questionable pacing. 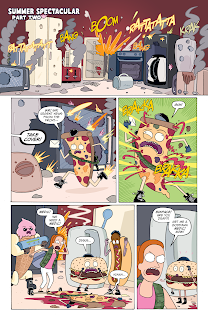 The 2nd issue of "Rick and Morty" may have some uneven pacing, but with the stupendous art and humor it serves as a solid read for anyone who is a big fan of the animated version. This is a sort-of sequel to the first "The Auteur" mini-series (subtitled "President's Day"), but in some ways it is just a direct continuation of the story (with the inside even saying this is chapter six in the character's saga). 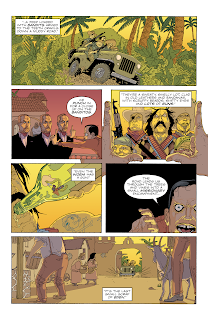 Should you not be familiar with some of the characters you might be a little confused, but Rick Spears writes such a good comic, with James Callahan providing stellar art, that you can't get too upset. Even if you're a bit thrown-off by not knowing who this protagonist named Nathan T. Rex is, you'll love this book, and get a pretty good grasp on the kind of fellow he happens to be quite quick. That is to say, Rex is a horrible, horrible human being. "The Auteur" is gross, excessive, rude, and a delight. 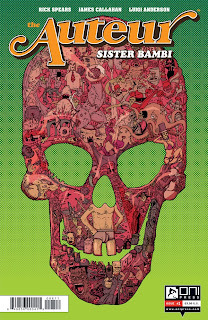 One complaint is that I find the last mini reads better as one dose of madness ingested in a single session, and I feel like that will be the case with this new mini-series too, with it only seeming to really get started at the conclusion of the first issue. For now I have to make due with a small serving of insanity, feeling like just as the book kicks into gear I have to wait another month for more. This issue involves Rex attempting to acquire independent financing for his next film idea due to his previous production having been a massive flop. In his quest to get a movie made he seems to be pitching-to and making deals with Nazi clones--with Rex being more concerned about having his "vision" messed with than the moral qualm of how he is cutting a deal with Nazis. A bunch of heavily-armed Jewish folk attack the Nazi base however, but it seems Rex's idea for a women-in-prison film may still possibly occur after all, making me wonder what silly things we will see in the next issue. As you can clearly see from my description, this is a wildly absurd book. The art of Callahan helps to impart how crazy everything is, with an appearance that is best described as disgustingly detailed. I use that wording because Callahan provides art that is incredible in how hideous it looks. Be it Rex sweating in the desert, a Nazi meeting a bloody end, or even the quieter moments, all the artwork has an appearance that would be gorgeous if it weren't so ugly. 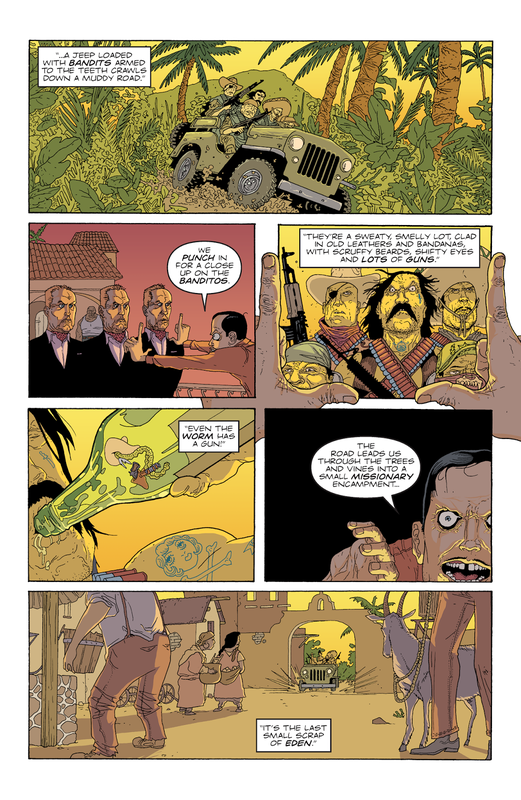 "The Auteur: Sister Bambi" turns in a first issue that is great, but leaves me wanting a lot more--clearly Spear's intention. Still, I just feel that right as the book is getting started this first issue ends, which makes me a bit annoyed. Oni started out a smaller publisher that maybe wasn't too known except for some solid titles. Lately they have been growing in size and popularity quite significantly, and by putting out titles that are either original creative joys (The Auteur) or solid tie-ins with other media (Rick and Morty) I imagine Oni will only continue to catch more eyes of comic readers. I myself am just pleased there are some comics that make me laugh instead of sad for those times I want my mood raised instead of demolished into misery.